Pennsic is here, There will be no fight practice on July 29, August 5, or August 12. Greetings from your BMDL Unit Commander! If you are fighting with the barony for *any* battle at Pennsic, please respond using your method of choice (email, FaceBook, Twitter, whatevs) between now and Friday, July 27. Any specifics you can provide (“I’m only fighting the field”…”I’m not fighting the woods”) will be extremely helpful! If you are fighting with the barony and have not yet received a baldric, please find me at Pennsic! We are located at N13, in Camp Goedeten, which is across from BMDL camp and down the block from Herontir. I eagerly await leading us into battle for the glory of the Debatable Lands and beloved AEthelmearc! Their Excellencies thanked everyone for their attendance, and then invited the autocrats, Master Alaric MacConnel and THL Raven Whitehart to come forward and acknowledge those who helped put this amazing event together. Their Excellencies gave way for the procession of Tsaritsa Ian’ka of Atenvelt to join them on the dias. A moment of silence was requested for Master Taliesin, Sea Panther herald of Trimaris, who had passed away eariler that week. Their Excellencies invited Master Malcolm Bowmann to come forward to announce the induction of the newest Herald Extraordinaire of the Society, Baron Yehuda ben Mosha. Her Excellency then made a point to recognize all the collected scribes of the Known World, as there are many who do not receive just recognition. His Excellency followed by recognizing all the collected heralds of the Known World. Dame Julianna de Luna was invited to come before Their Excellencies. It was noted how wonderful it was that she, originally a resident of the BMDL, had the opportunity to return to the Debatable Lands as Laurel Herald of the Society. For her tireless work she was awarded a Comettus Amicus. Scroll by Rivka bat Daniyel (illumination) and Ceindrich verch Elidir (calligraphy). Dame Alys MacYntoich was next called before Their Excellencies, and also received a Comettus Amicus for society-level service to the heralding community. Scroll by Rivka bat Daniyel (illumination) and Ceindrich verch Elidir (calligraphy). Their Excellencies invited Master Cormac Mor to come before them and join Dame Julianna and Dame Alys in receiving a Comettus Amicus, also for society-level service to the heralding community. Scroll by Rivka bat Daniyel (illumination) and Ceindrich verch Elidir (calligraphy). Their Excellencies then reminded everyone to attend the performances of the Debatable Choir, followed by ii Genesii, which begin at 8:30. As a reminder there will be fencing practice this Sunday starting at 1PM at the Washington Blvd site. This will be the last practice until after Pennsic, and will be your last chance to get an initial authorization before Pennsic. Secondary authorizations can be completed at Pennsic, but if you already know you want it why not come out and do it early? Konichiwa Debatable Lands! Thrown weapons practice will be From 11-2pm at Washington Blvd tomorrow. Looks like the rain will hold off till the afternoon, so come on out and get some pre pennsic practice in! See you there! Join us at Highland Park 11am-2pm for some great Archery.  Loaner equipment is available, first come first served. Weather permitting, fight practice will be held on July 22, from 2 till 6 PM, at the Washington Blvd site. Loaner armor will be available. This will be our last chance to sharpen our skills before Pennsic, so I hope to see many of you there. Hi Everyone!!!! Mistress Airanna will be the youth marshal this Sunday. Practice will start at 2pm at Washington Blvd. This is the last practice before war. We will then be taking a break and start practices back up on Aug 19th at 2pm at Washington Blvd. Sorry I will not be there this Sunday but I hope to see everyone at war! Please remember if you need armor or weapons for war to contact me. 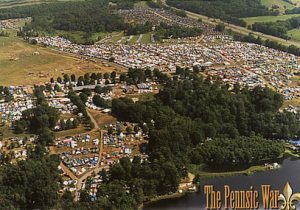 Pennsic is looming, do you think you’ll have questions or need information? Just might need a contact, just in case? Contact me via text (as I will have no internetz when I am on site), and I am happy to help! I urge all of you to take as many classes as you can. This a great way to learn, and it’s free! Jul 22 – No A&S : Personal Pre-Pennsic Panic Day! Jul 29 – No A&S : Attend classes! Visit bardic circles! Do fun! Aug 5 – No A&S : Save handouts! Take notes! Make stuff! Aug 12 – No A&S : Post-Pennsic fall down go boom. Aug 19 – Pennsic Tale Telling! Bring your handouts, stories, and notes, and share the fun of Pennsic with all of us; everyone is welcome even if you didn’t go to the war. Living vicariously is perfectly period! I will post a reminder after Pennsic, this list is for your planning pleasure! See you at the War!